Professor Suzanne Franks, Head of Undergraduate Journalism at City University London, wanted a more innovative way to present at the International Symposium on “China as a Development Aid Actor: Rethinking Development Assistance and its Implications for Africa and the West” hosted by the Department of Politics and International Relations, University of Oxford. We discussed the options and she decided to try to use prezi.com. Prezi is an online, cloud-based tool for creating presentations, exploring ideas and storytelling. Prezis can be played on a computer with internet access, downloaded for playing offline or played on an ipad by downloading a free app. 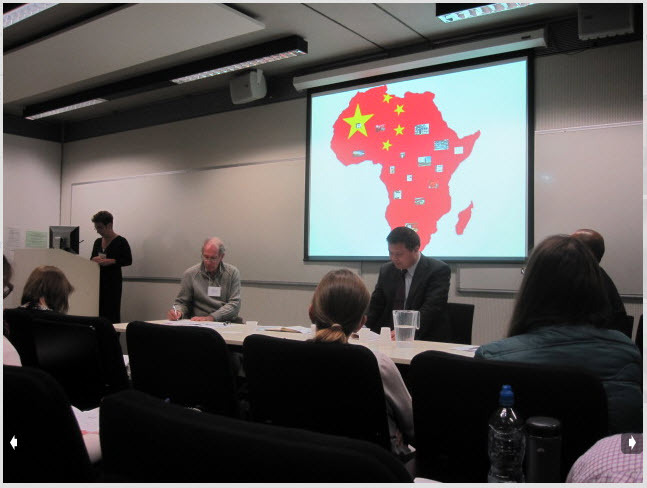 Professor Franks’ presentation was about the influence of China in Africa, particular in the media and media training. She decided she wanted to use images with no words and wanted to position the images/photos in the correct part of the country. 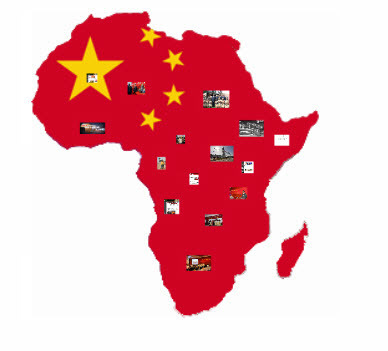 She also used a map of Africa overlaid with the flag of the People’s Republic of China. You can see an image of this to the left (see the full prezi here). James Anslow is a lecturer in the Department of Journalism at City University London. He was formerly Chief Production Editor at The Sun and The News of the World and runs the blog eJournalism UK. He runs the undergraduate module on Editorial Production which introduces students to sub-editing, layout for print and web, script writing, copy writing and programme making. 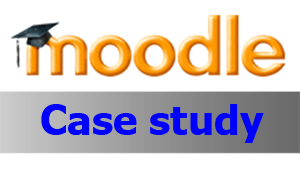 In this case study, he talks about his use of Moodle to mark scripts and design files online. James uses Moodle and the Turnitin plugin to mark hundreds of pieces of work a term.